My daughter is a creature of comfort. 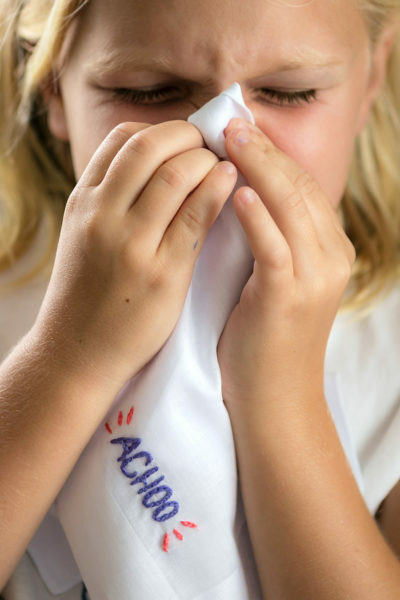 She hates anything ‘itchy’, or ‘scratchy’, even if the rest of us don’t feel it. 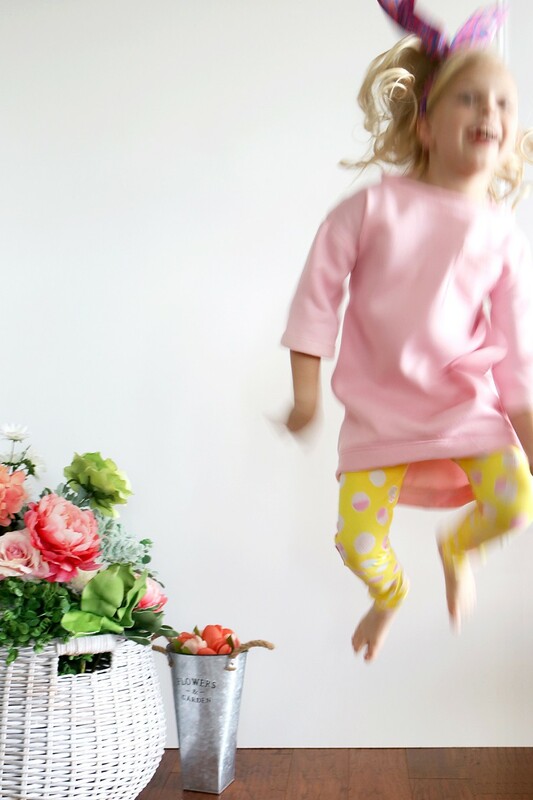 She doesn’t like jeans, is not a lover of classic cotton dresses (has to wear a tank top underneath them), and basically would wear leggings every day of the week if I let her…which oftentimes I do. Knit fabric, sweater fabric, or fleece is the pathway to her heart, and I have had to learn who to alter my sewing plans accordingly. Which is why I find myself sewing new leggings almost every Spring season. 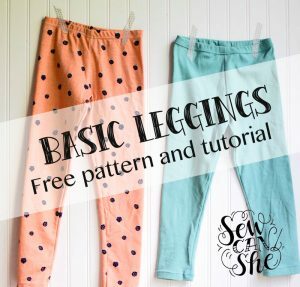 The free leggings pattern by Sew Can She found HERE is on constant rotation in my sewing studio. Its quick, easy, and I can whip out 3 – 4 pairs in under an hour. You just can’t beat that! Especially when upcycling old t-shirts. One of the challenges when sewing leggings though can be making sure the knit fabric doesn’t get ‘wonky’. Unless you happen to own a coverstitch machine – hemming leggings, t-shirts, or knit dresses can get tricky. 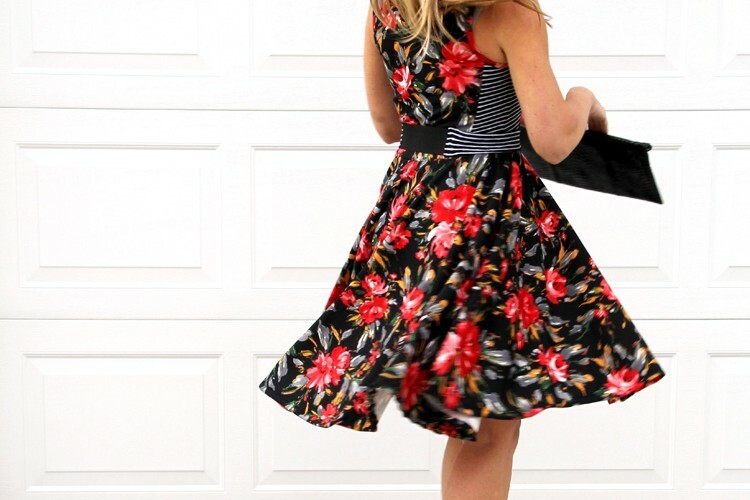 Nobody likes a wonky, wavy finished hem – especially when you have worked so hard on your sewing project! There are plenty of tips and tricks on the market, such as using a walking foot, sewing with a zigzag stitch, knit stay tape, or using the tissue paper trick found HERE. Which is why I was super excited about Therm O Web’s latest product, Soft Stretch. Soft Stretch operates just like Therm O Web’s fusible adhesive that we already know and love (HeatnBond), but is designated to work with fabrics that STRETCH. 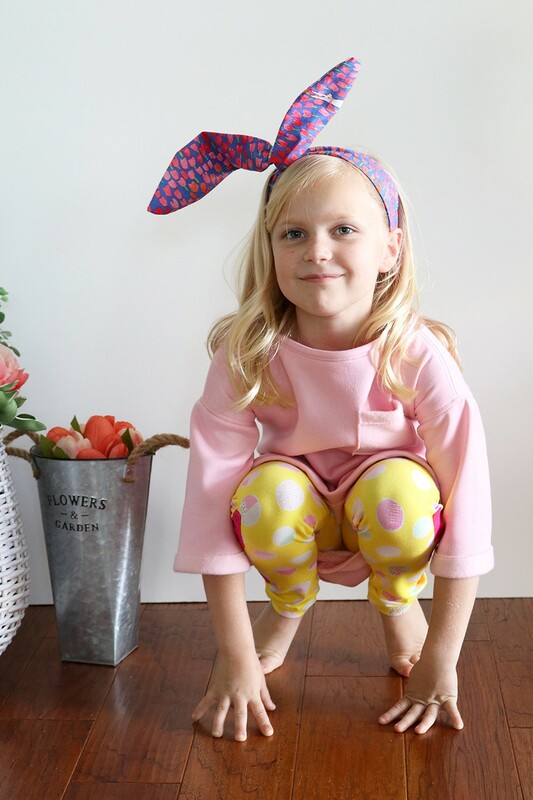 To test out their new Soft Stretch product, I made a pair of ‘Hop Hop’ leggings for my super picky daughter to wear this Spring / Easter season! As a brand ambassador for Therm O Web, I stand by their products whole heartedly. I have used their products for many years now in my sewing studio, and highly recommend their adhesives, interfacings, and new deco foils. This is a paid post by Therm O Web, in which product and compensation was provided for the content of this post. All instructions, project ideas, and photos are my own. Thank you! 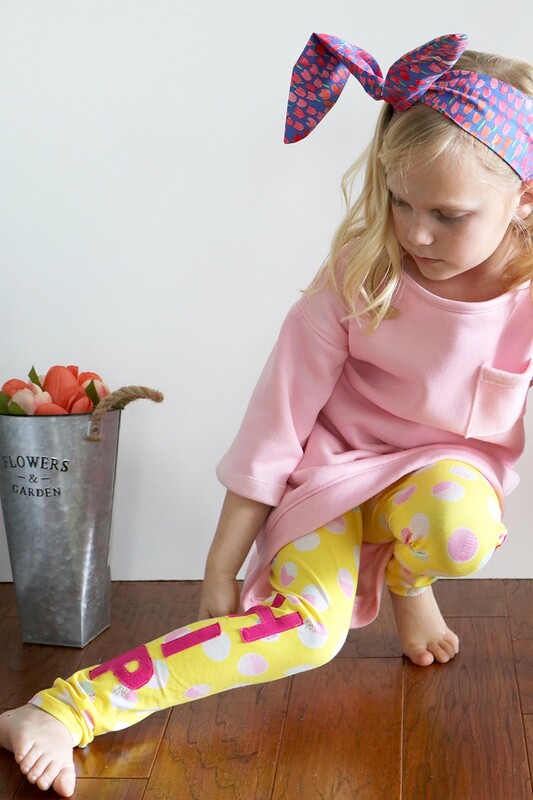 Step One – Print out free kids leggings pattern and tape together. Cut out pattern size as indicated, and cut out from knit fabric making sure the stretch of the knit fabric is going from left to right (horizontally). Step Two – Gather supplies as needed. 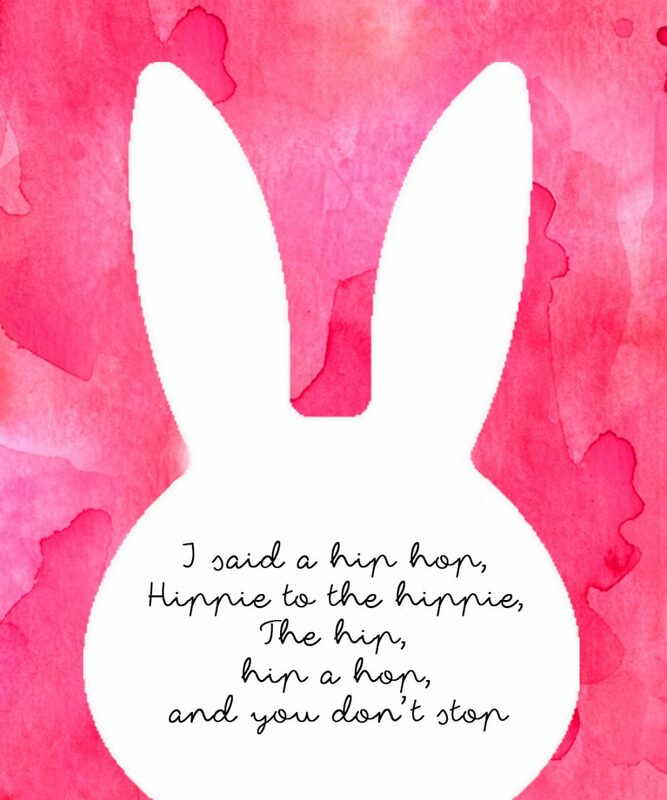 Step Three – If ‘Hip Hop’ is desired on your leggings, type out the words HIP HOP on your computer using a bold classic font, like Arial in your desired size and print. 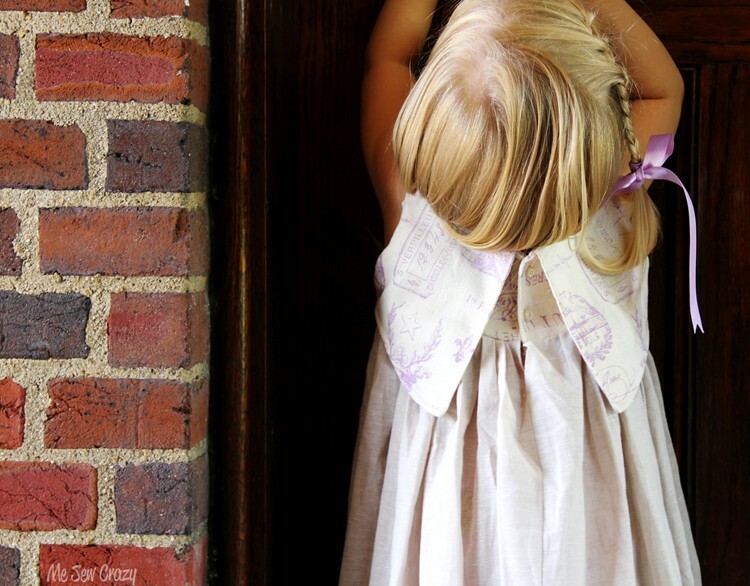 Tape the paper onto a window, and tape the fabric you want to use on top of your paper. Use a pen to trace around the font directly onto your fabric. Step Four – Cut out fabric letters using a nice, sharp pair of fabric scissors. 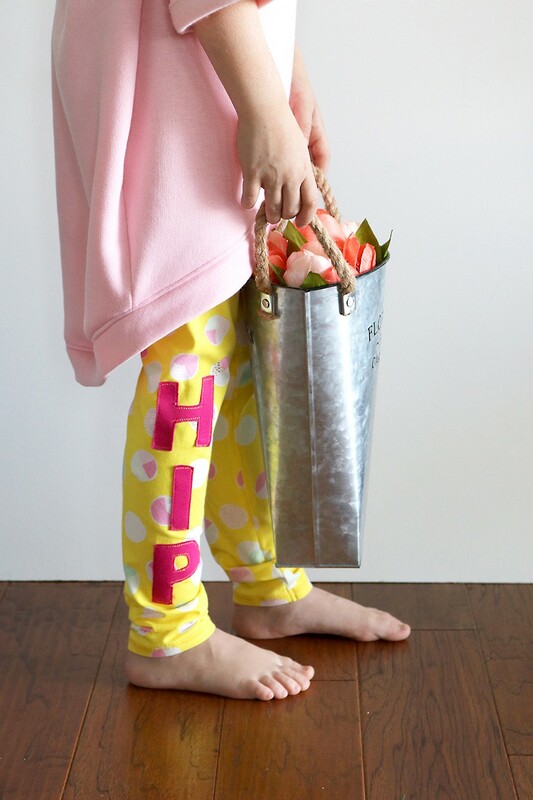 Step Five – Determine the placement of where you want the letters to go on your leggings. Step Six – Using Soft Stretch, iron tape or yardage directly onto the BACK of your letter – with the paper side facing up. It irons on super quick, so need for a lot of pressing. Step Seven – Once cool, remove the paper backing from each letter, and place letter right side up directly onto your leggings…NOTICE HOW THE LETTER STILL STRETCHES!!! So super cool. Place the letter right side up directly onto your leggings and iron to secure. If you used the Soft Stretch Ultra like me, that bad boy isn’t going anywhere. Step Eight – Finish sewing leggings as instructed HERE. 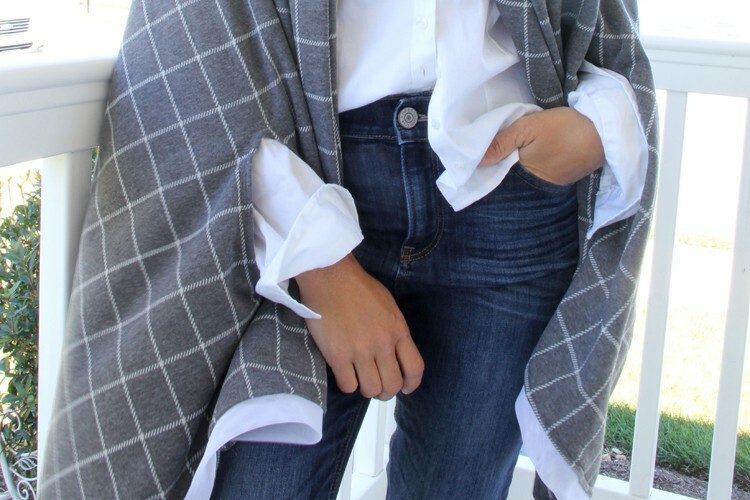 For hemming, you can once again use the Soft Stretch and simply iron around! 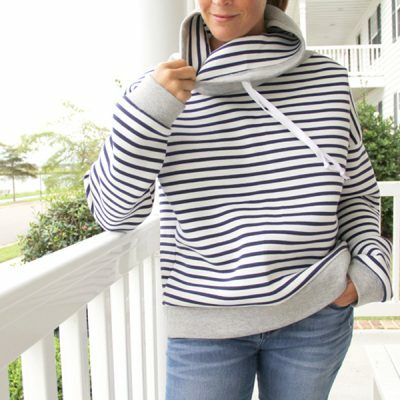 For a more professional look, simply zigzag stitch over the finished Soft Stretch hem, and watch how the hem stays nice and straight (NO WAVY HEMLINES!!!). 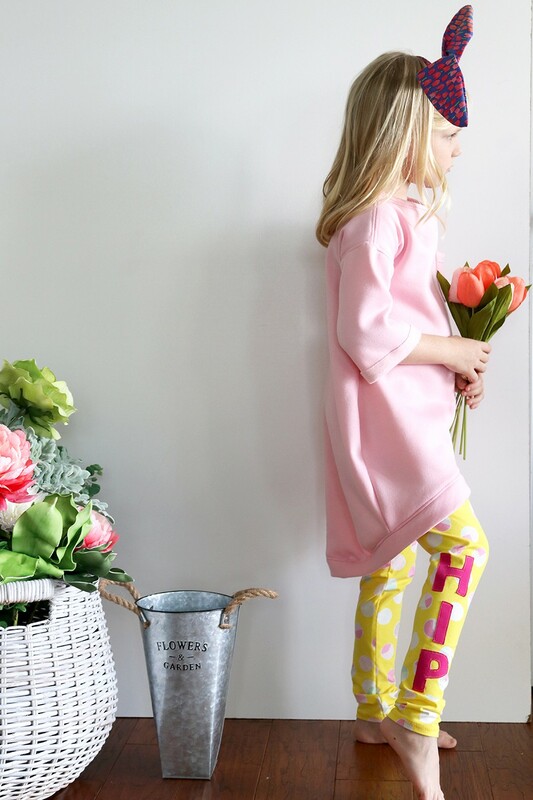 Since sewing these leggings, I have used Soft Stretch on numerous other knit sewing projects that include hemming two kids knit dress, one woman’s knit shirt, and converting old legging pants to shorties for the upcoming Summer months. It has made my life so much easier, and for that – I am a huge fan. Thanks so much for stopping by, and until next time, happy sewing!